Medical Malpractice and Never Events | Merkel & Cocke, P.A. According to a 2016 New York Daily News story, the Department of Veterans Affairs (VA) has tripled the number of legal settlements it’s made since 2011 due to medical error and faulty construction projects. Yearly payments of $338 million were made by the VA in 2015 alone. Medical providers who fail to follow standard medical procedures should be held responsible, if they work in the private sector or if they work for the Veterans Administration. Operate on the wrong patient. Operate on the wrong body part. Leave a surgical instrument inside the patient such as a sponge, gauze, or any medical instrument or device. These objects should be accounted for before and after surgery. Using the wrong medical instruments. There’s no excuse for using the wrong tool during surgery. There’s also no reason for using medical devices that aren’t sterile. Giving the patient the wrong medications. Doctors should know the patient’s conditions, and all the other drugs the patient is taking. Patients should be given the right drug in the right amount at the right time for the right condition. Radiology errors. Some medical mistakes occur when the patient is being given a CT scan, MRI, or X-Ray. There are proper procedures for each type of imaging test. For example, metal should never be introduced into an MRI. Patient protection malpractice. Patients should be discharged to the right person such as a spouse or parent. There’s no excuse for losing a patient and then having the patient suffer an injury. Patients at risk of suicide should be properly monitored. Additional “never” medical events include allowing someone unauthorized to treat the patient, or allowing any type of physical, emotional, or sexual abuse of the patient. When hospitals, doctors, and other health providers make mistakes they shouldn’t, they must be held liable for the injuries and deaths they cause. If a loved veteran or civilian dies or suffers injuries due to medical malpractice, the admired trial lawyers at Merkel & Cocke, P.A. have the experience and resources to help. Our Mississippi medical malpractice lawyers have been fighting for accident victims since 1982. We have law offices in Clarksdale, Oxford, and Jackson. To schedule an appointment, please call us at 662.799.1633 or complete our contact form. 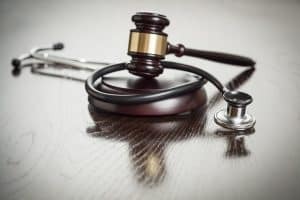 What Are the Requirements for Bringing a Medical Malpractice Claim against the Veterans Administration?